Dive in to the aquatic fragrance that leaves you feeling cool and fresh. Additional Information: Started in 1952, Cinthol was India's first deodorant and complexion soap brand. Since the beginning, Cinthol has been evoking confidence and freshness in its users. 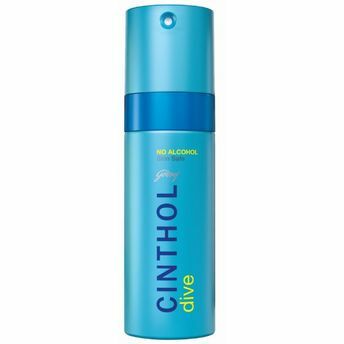 Cinthol is more than just a personal care brand. It’s a philosophy, best summarized in the three words ‘Alive is Awesome’. It’s about giving people incredible experiences that make living worthwhile. And every Cinthol product is one such experience in itself.